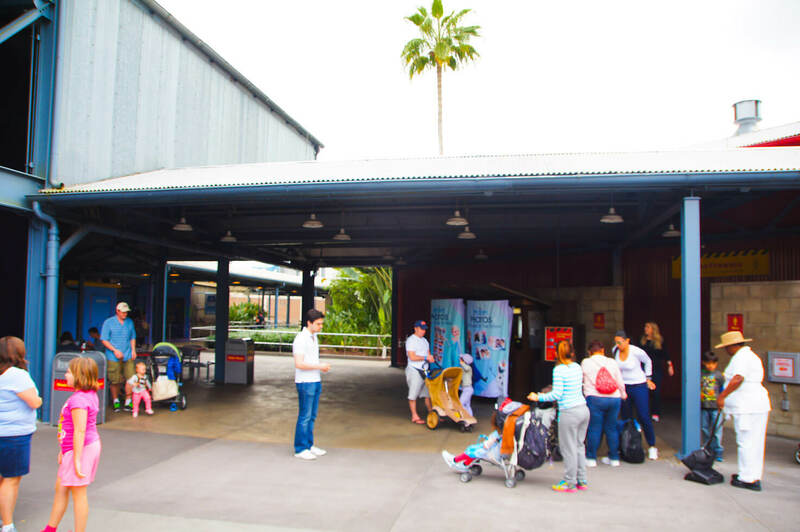 Welcome back to another edition of ParkSpotting! This week we will be checking in on Disney’s Hollywood Studios that is seemingly in constant change. 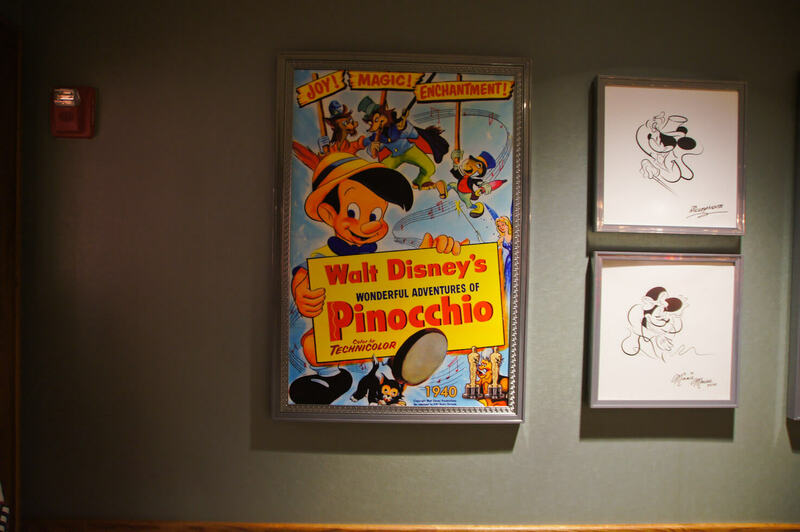 My goals for this visit was to check out the status of the removal of the Sorcerer Hat and take a look at the “golden guy” visiting inside the Magic of Disney Animation building but I found some other Disney goodies too. 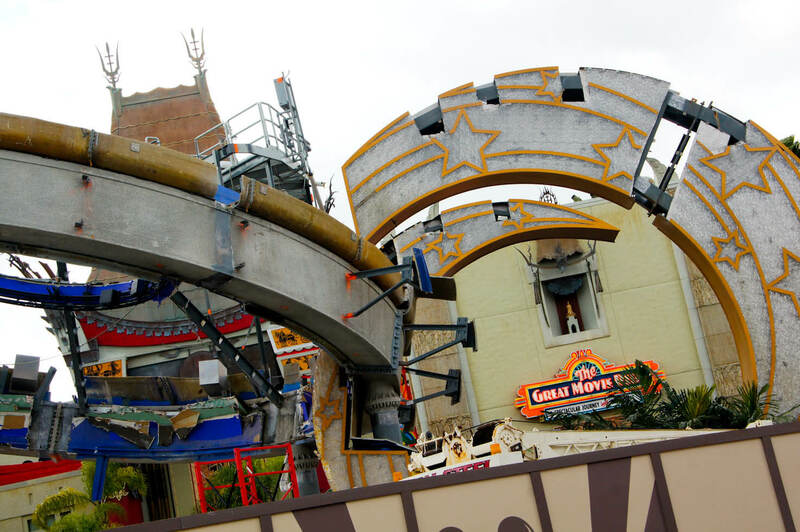 Walking up Hollywood Boulevard the removal of the Sorcerer Hat is an eyesore nobody could miss. Whether you are happy or sad about its removal, it’s still really weird seeing something being taken apart piece by piece like this. But at the same time it’s like we are getting a slow reveal of the old icon of Hollywood Studios, the Chinese Theater, and everyday we get to see more and more of her. Looks like one ear disappeared. 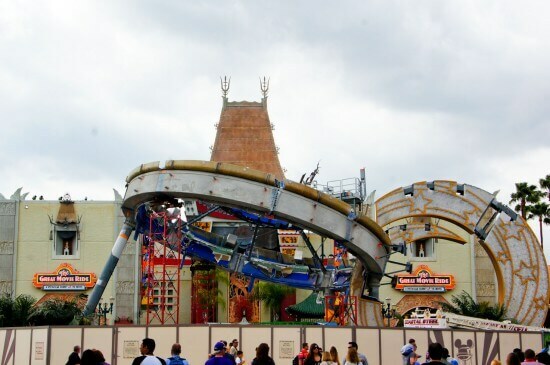 The Great Movie Ride and the Chinese Theater will be taking center stage when the Sorcerer Hat is finally removed and I really hope we get to see some sprucing up of the structure when that happens, as it’s looking quite bland right now. The Great Movie Ride sign needs some sprucing up. 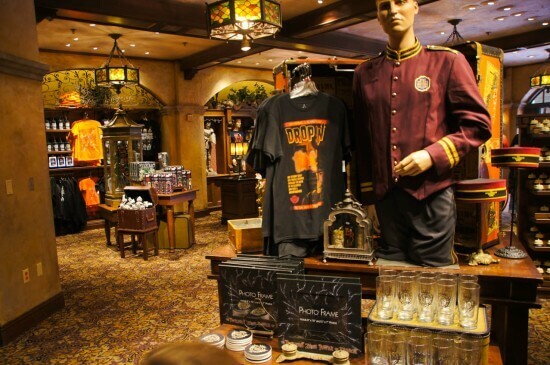 After checking on the hat I really wanted to go see the new Tower of Terror merchandise collection that was just released and maybe go on the ride too. A quick check on the wait times quickly changed my mind about riding anything, as there were crowds aplenty this day. 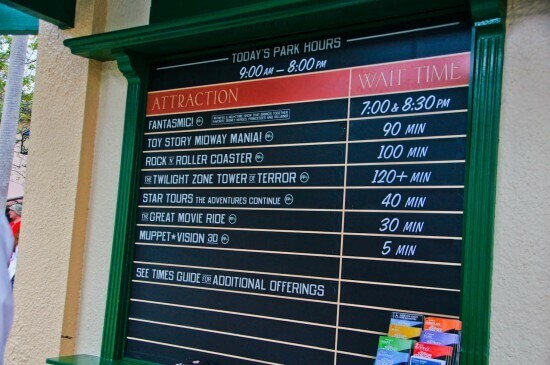 Why is it that the attraction you want to go and ride the most always has the longest line? 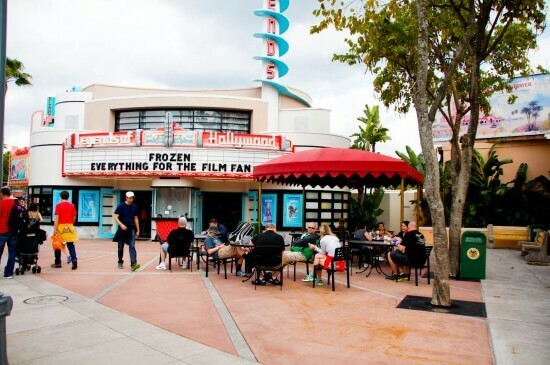 Strolling down Sunset Boulevard I was happily surprised to see that the new Trolley Car Cafe/Starbucks had added some seating behind the cafe where you now can enjoy your Starbucks treats. 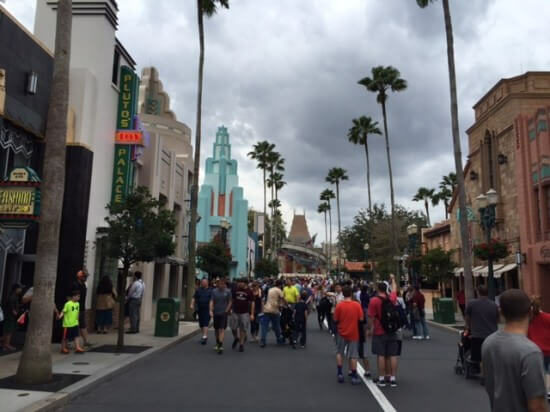 This location is especially perfect as the Hollywood Studios Streetmosphere characters often perform right in front of this location. 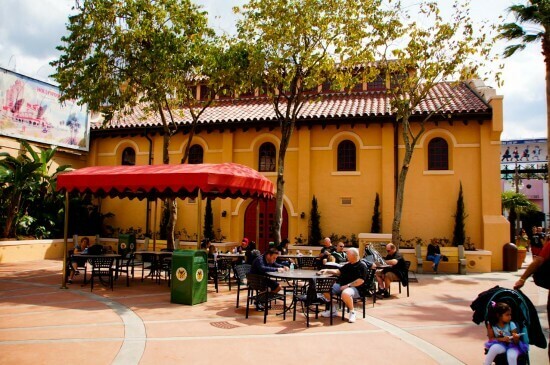 Perfect quiet corner to enjoy your coffee. 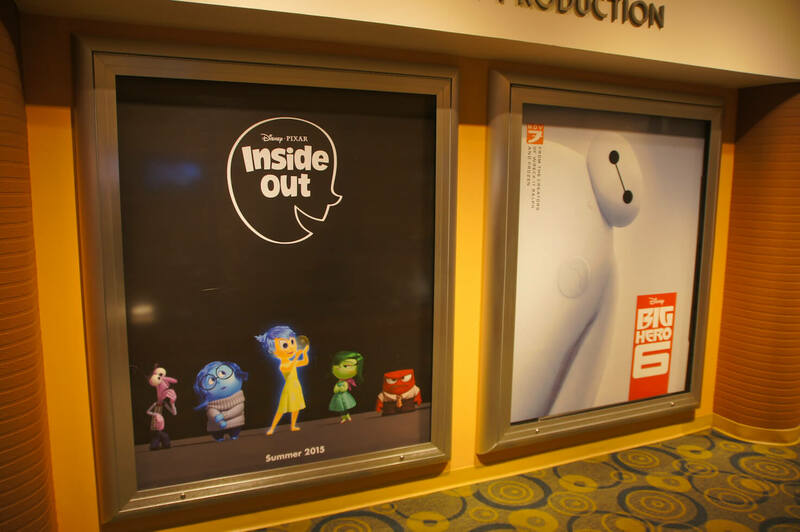 This security guard knew the perfect window to stand beneath. 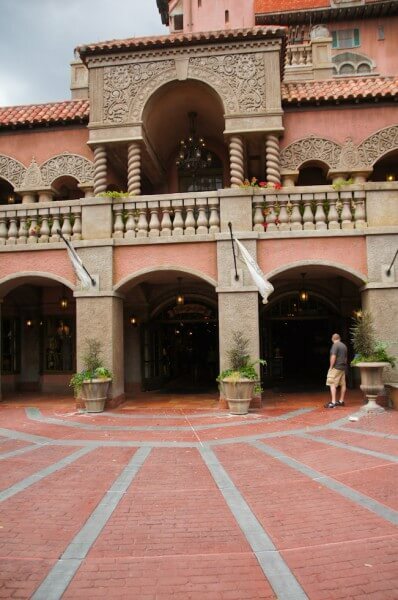 This being February the weather has been quite moody lately with the temperature swinging up and down and a storm was a brewing during my visit. 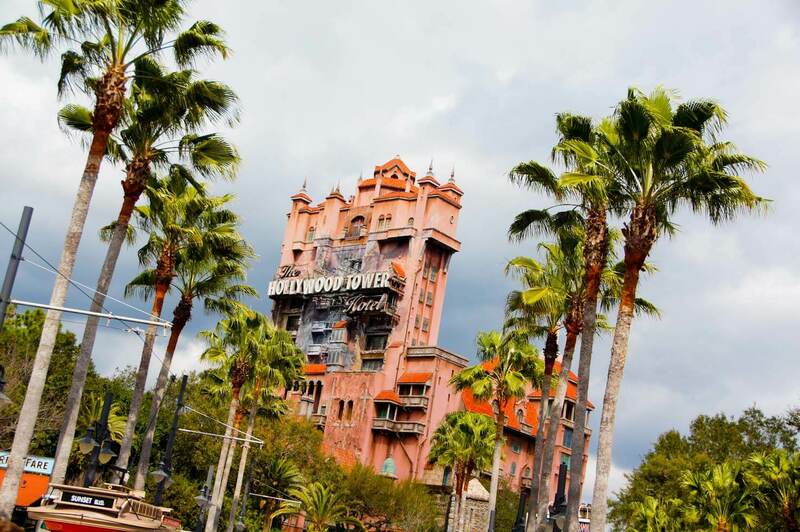 Can’t complain though, as some dark thunderclouds makes for the perfect backdrop for the Hollywood Tower Hotel. 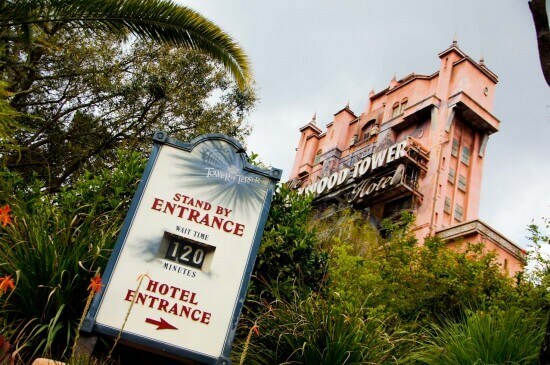 Way too long of a wait for this ride. With the success of the Haunted Mansion Authentic merchandise collection Disney decided to create a Hollywood Tower Hotel Authentic collection too. 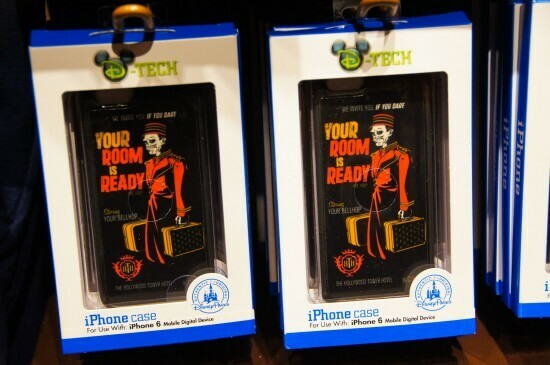 The collection features the same awesome vintage style as the Haunted Mansion one and looks very high end. Decided to drop in and see the merchandise instead. 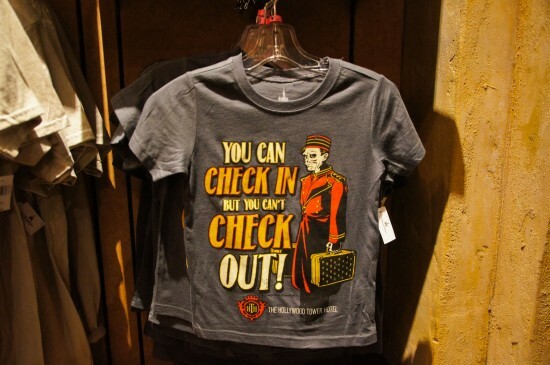 Perfect for your Tower of Terror bellhop Halloween costume. 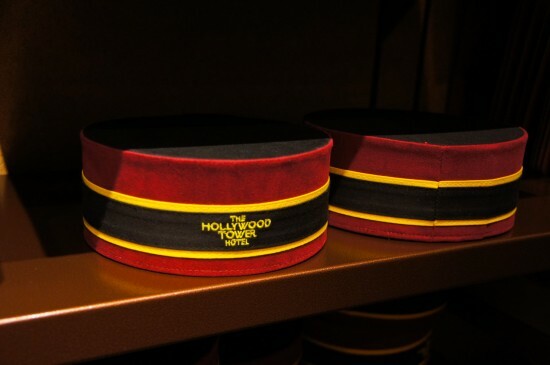 The new collection features everything from t-shirts, home decor and pins with cool new designs of Tower of Terror bellhops and Hollywood Tower Hotel logos. A bunch of new Tower of Terror pins has been released. 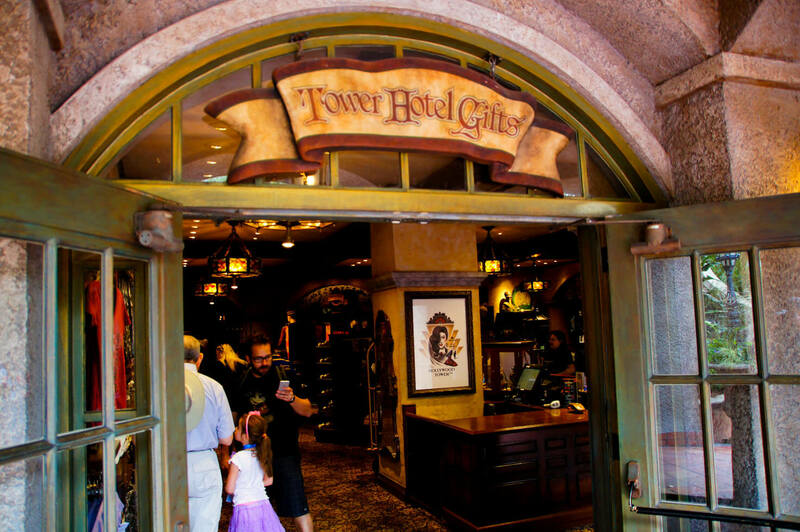 When you find yourself riding this ride make sure to take a peek up at the building when you exist the gift shop at the end to see the incredibly detailed exterior of the “hotel”. Furthermore at night you may see a mysterious lurking figure in one of the windows. 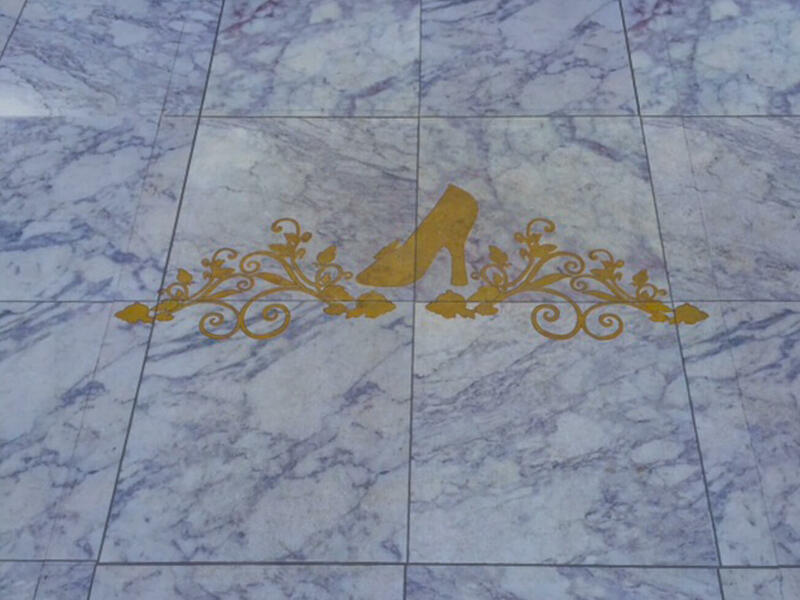 One of the best-detailed attractions at Walt Disney World. 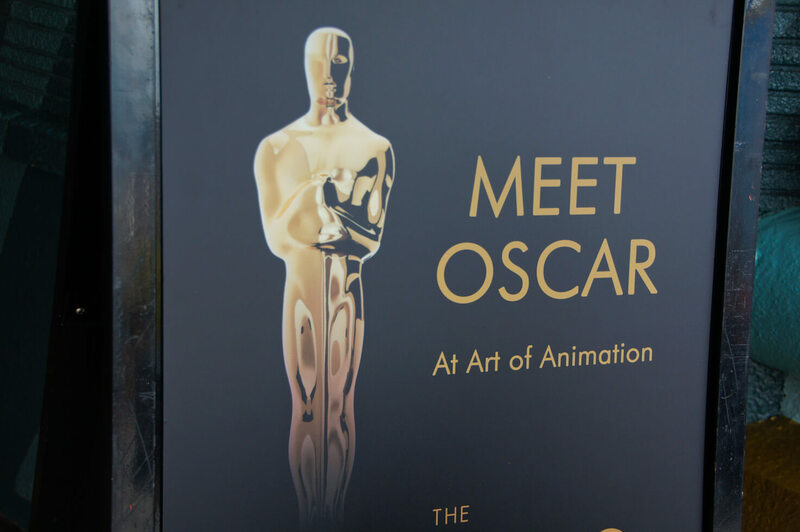 After checking out the new Tower of Terror merchandise I went on the hunt for the new Oscar statuette photo opportunity at the The Magic of Disney Animation building. 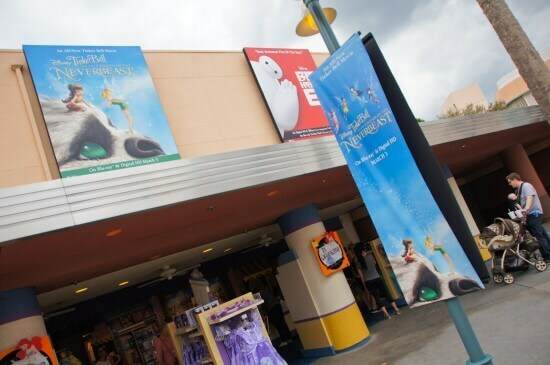 Outside in the courtyard Tinker Bell and the Legend of the Neverbeast and Big Hero 6 has gotten the billboard treatment. 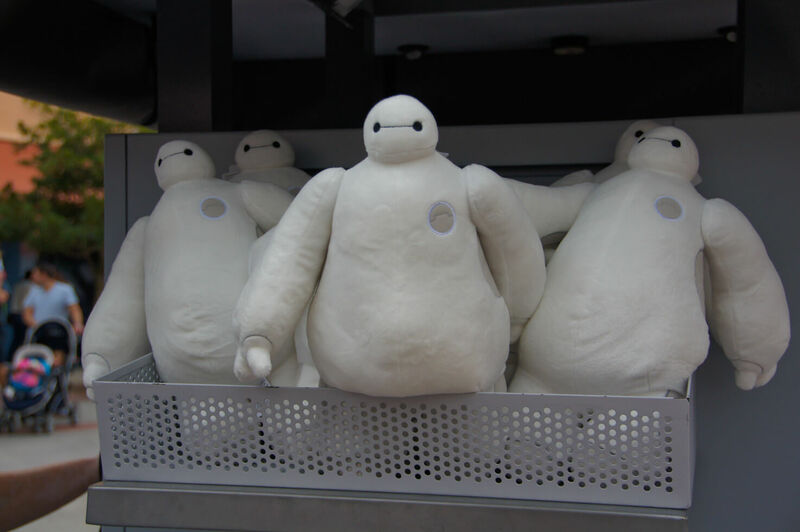 Neverbeast and Baymax sharing the same space. 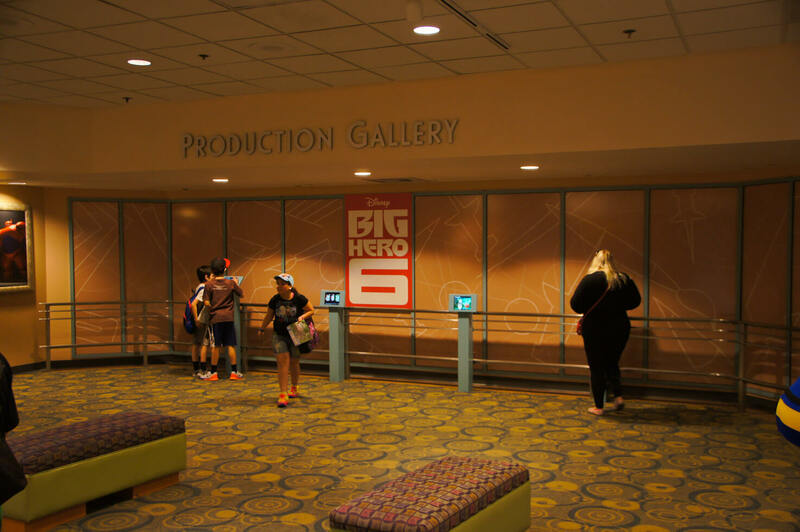 Big Hero 6 may not have become as big as Frozen but the cuddly plush toy Baymax has been sold out for quite a while so it was nice to see a bunch of them at the Big Hero 6 cart in the Animation Courtyard. 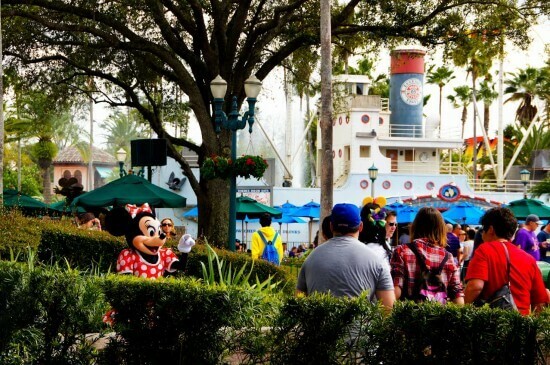 He will make sure you are satisfied with his care. 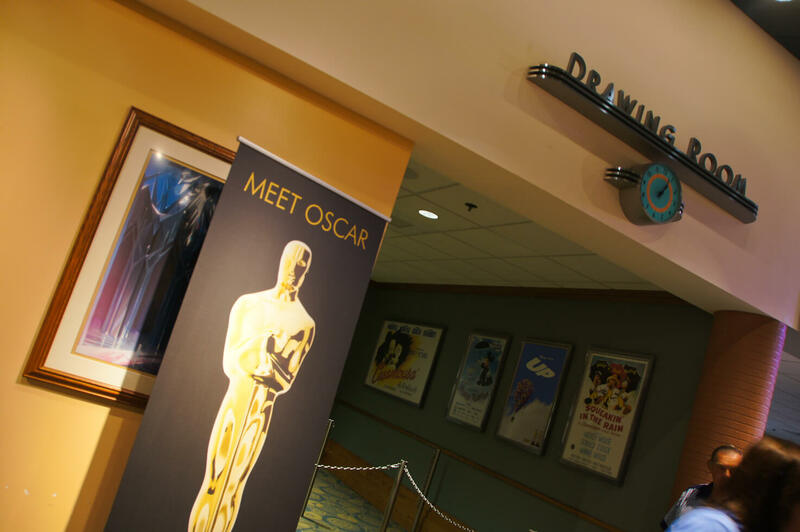 Something new that showed up this week at Hollywood Studios is a photo opportunity to pose with an Oscar statuette inside The Magic of Disney Animation building. 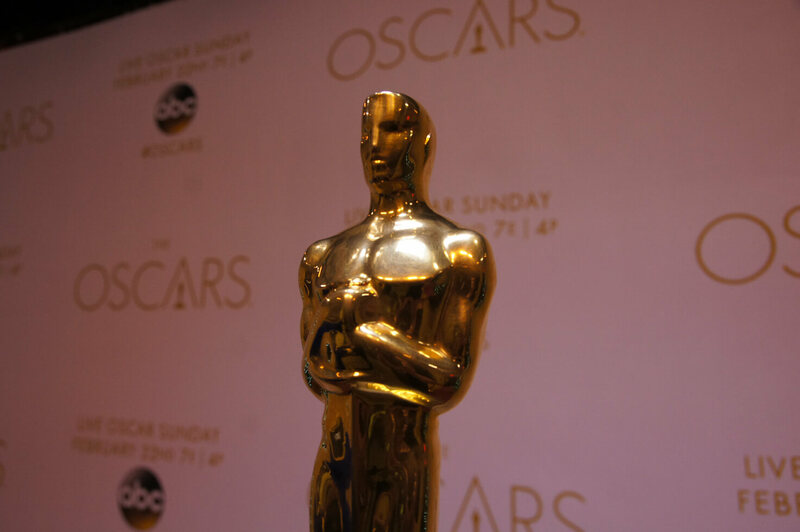 This is a perfect opportunity to feel like a star as you get a chance to pose with the statuette with the same type of backdrop as winning celebrities do and a perfect chance to get excited for the 87th Oscars airing Sunday February 22nd. Your chance to meet and greet with the “Golden Guy”. The Oscar statuette photo opportunity is borrowing Minnie Mouse’s meet and greet location for the week and also changing out some of the posters in her queue to highlight the Oscars awarded Disney movies. 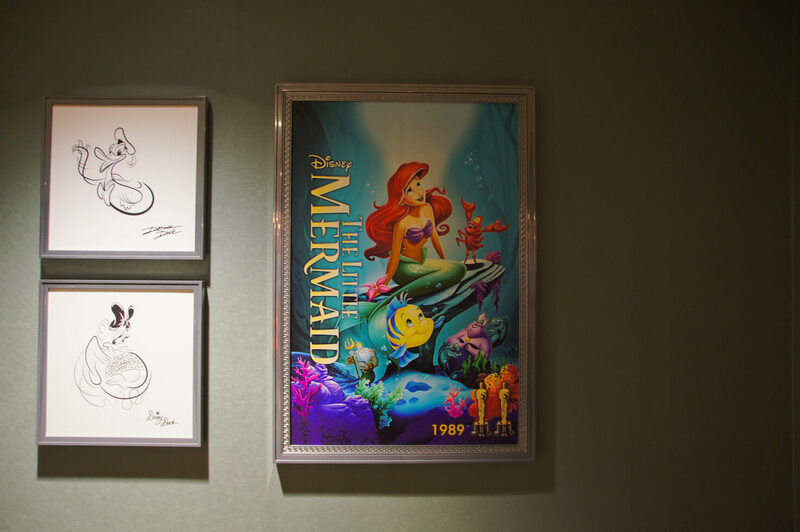 The Little Mermaid won two Oscars in 1989. 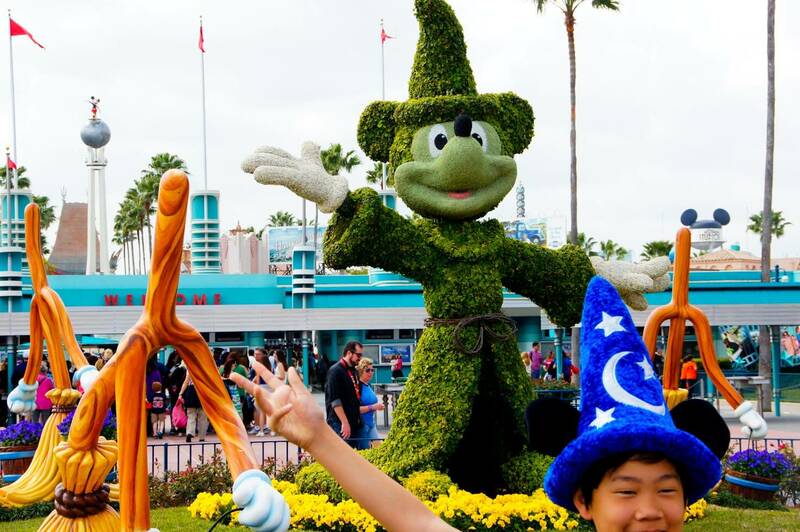 The photo opportunity isn’t the most exciting thing I have ever seen, but makes for a cute little pic for Hollywood Studios guests. 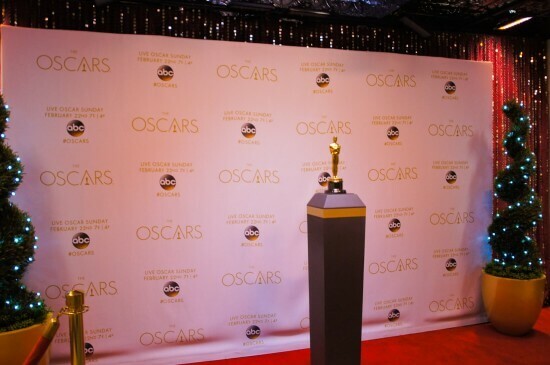 The funniest thing is how the Oscar statuette comes with its own, very serious, personal security guard. 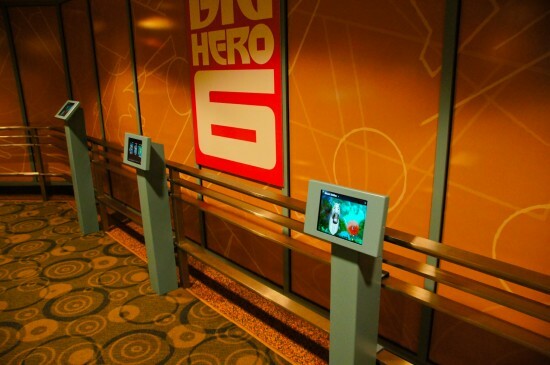 Perfect place to take center stage and practice your acceptance speech. The Magic of Disney Animation building always has poster up highlighting some of the upcoming Disney movies, this day I saw posters for both Pixar’s Finding Dory and Inside Out. 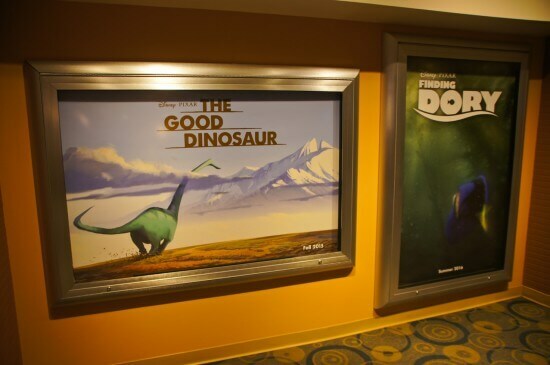 Don’t know which movie I’m more excited to see, Finding Dory or The Good Dinosaur. 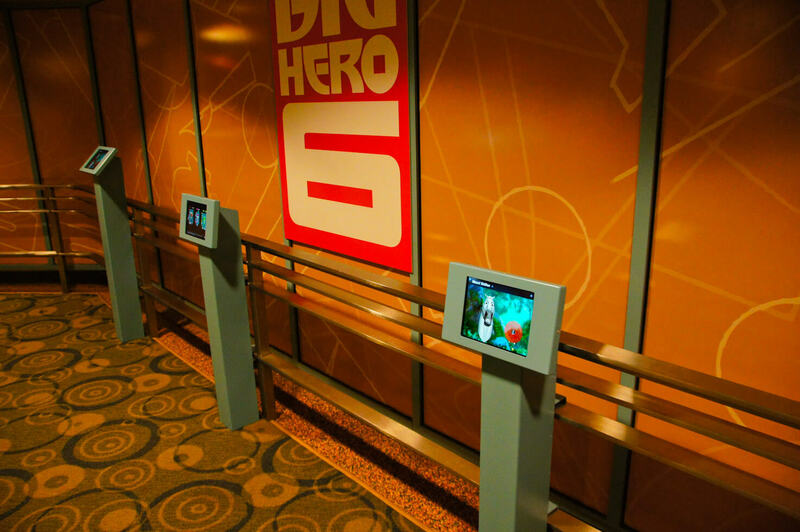 A look inside the Production Gallery showed that some new interactive screens has popped up that lets you play around with the quite cool “Disney Animated” app. 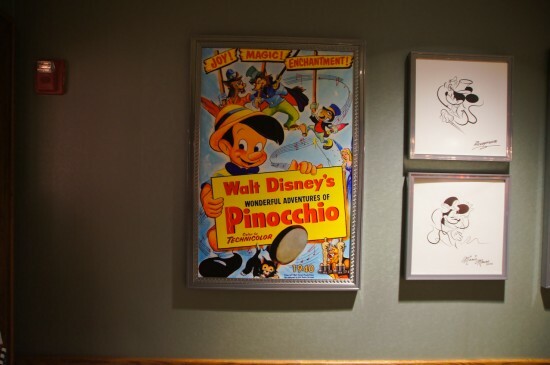 The Disney Animated app has tons of fun stuff to check out. 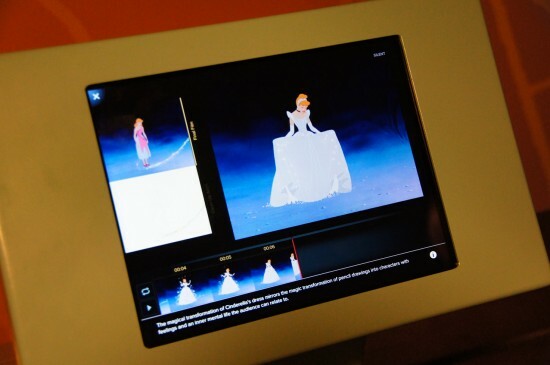 You can play around with the transformation of Cinderella’s dress scene in the Disney Animated app. 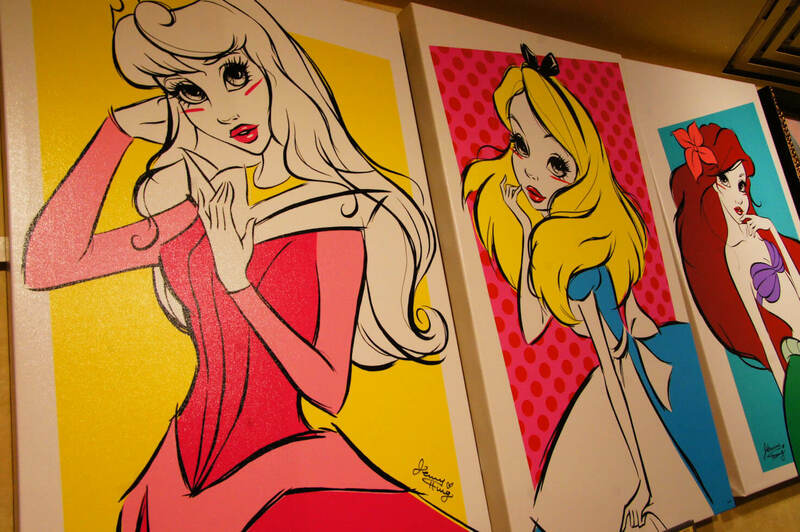 When leaving the Magic Of Disney Animation building I always make sure to exit thru the art store, they always have some splendid art and figurines on sale in this store. Heading down the street to the old location for the Studio Backlot Tour I didn’t see any progress at all but did find some new Frozen photo booths. Nothing to see here except a Frozen photo booth. 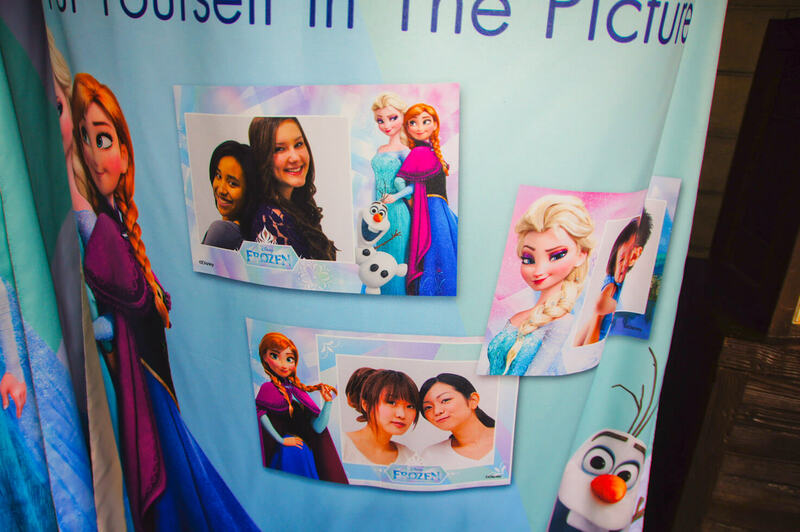 This is the closest you will get to take a picture with the Frozen sisters at Hollywood Studios and a much shorter wait than the up to 2-hour long wait time for them at Magic Kingdom. 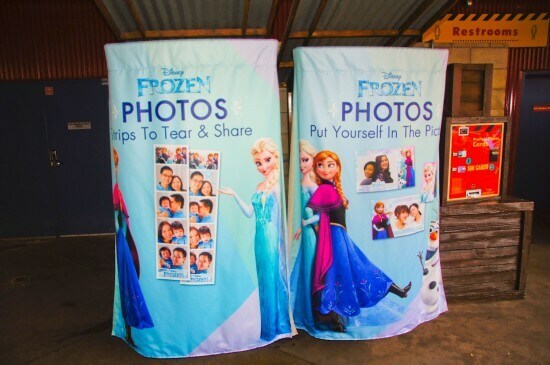 Your plan B to meet the Frozen sisters. 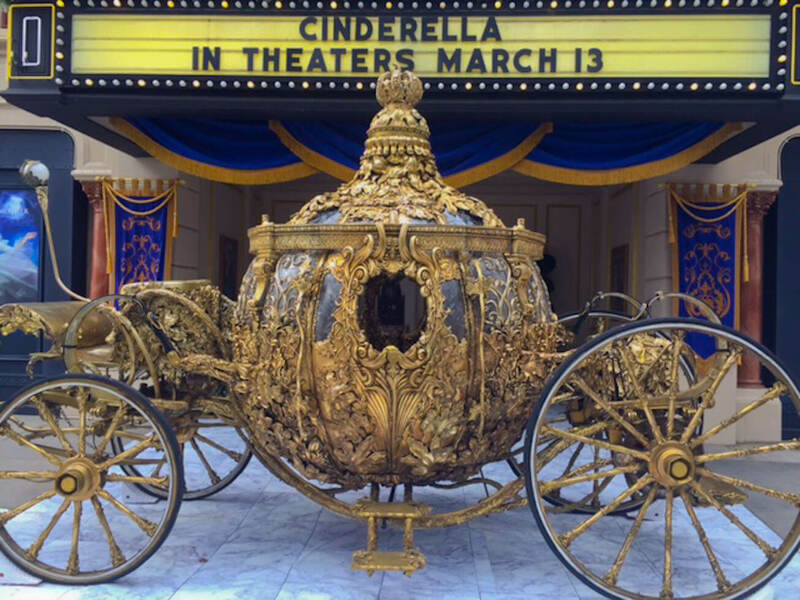 I decided to go and take pictures with another kind of princess prop instead, the Cinderella carriage from the new live-action Cinderella movie coming out March 13th. This movie prop is a rare find to see so up close so make sure to visit it before it disappears April 11th. With the Oscar statuette taking Minnie Mouse’s place inside the Magic of Disney Animation building, she is now meeting outside in front of the hat. Unfortunately, this makes meeting Minnie a bit harder as she is much more visible out in the open and the line for her this day was very long. 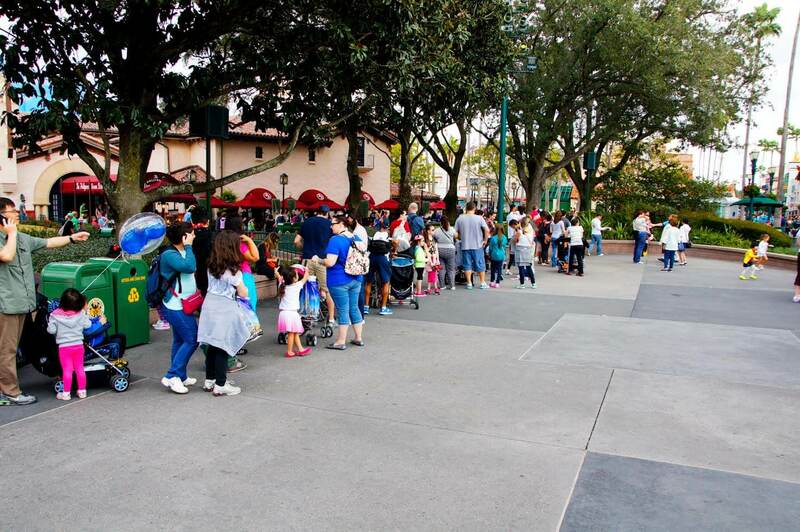 Longest line I have ever seen for Minnie Mouse. With the clouds turning darker and rain moving in over Hollywood Studios I had to cut this visit short but I hope you enjoyed my little trip through the park and come back for my park adventures next week! 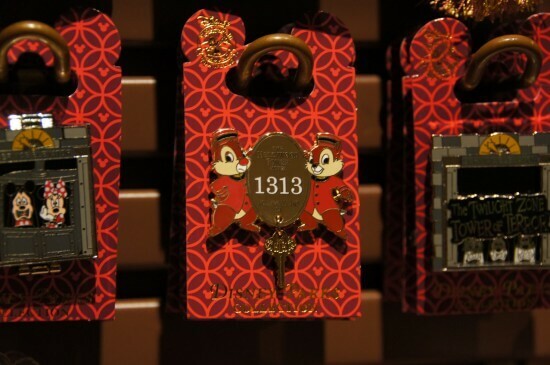 Lolololololololololol. Funny but so true. I saw in a video where a kid no more than ten compared the hat in this state like Five Nights at Freddy’s. 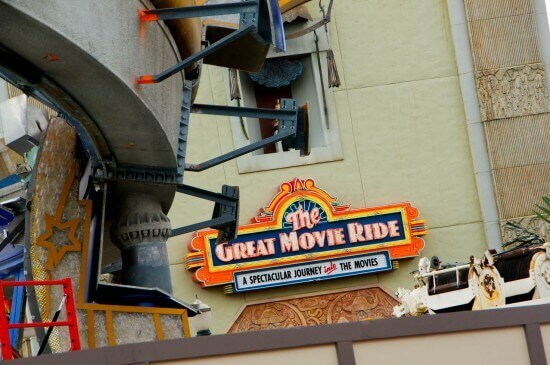 Five nights at The Great Movie Ride maybe? Thank you for the photo updates. I’m curious of that’s one of the many real Oscars on property, or a fake. My bet, with one security person, it is a fake, but a fun one. 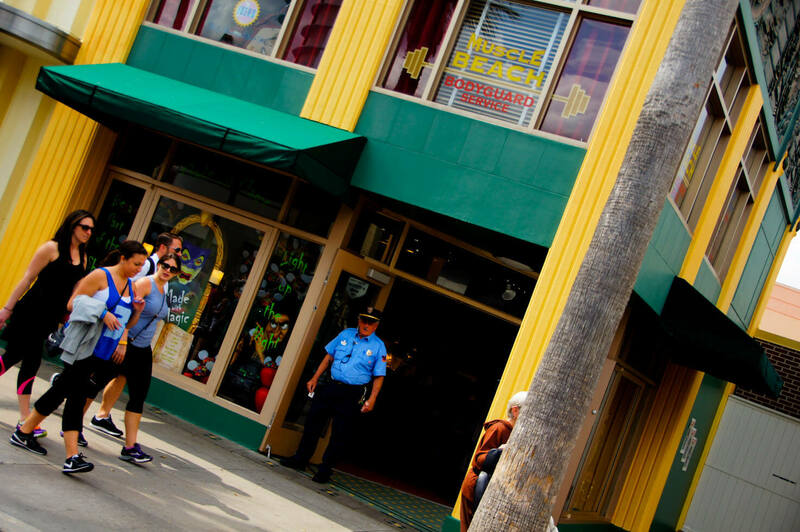 I inverted my words… “Speech to text app” was the phrase I meant to use.